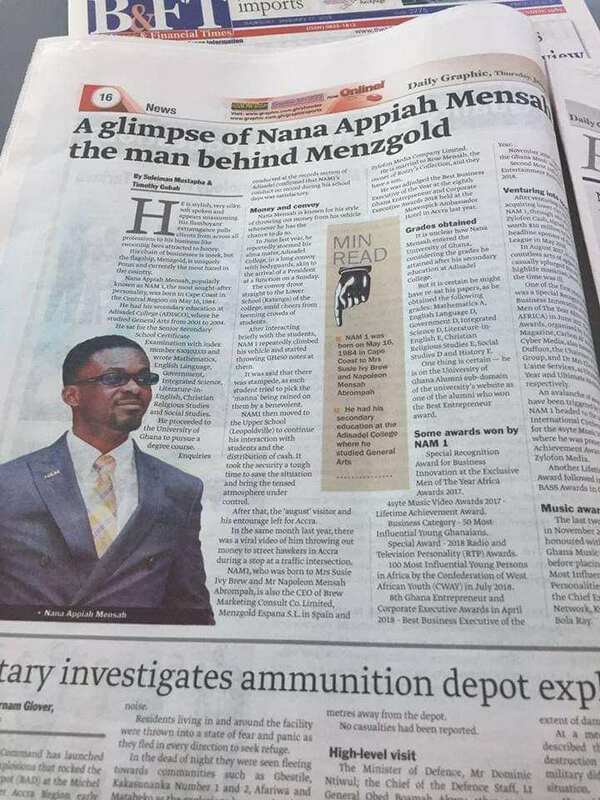 Ghanaian Daily Graphic, one of the leading Newspaper outlet in Ghana, has published Nana Appiah Mensah alias NAM 1’s WASSCE amidst all the Menzgold brouhaha. 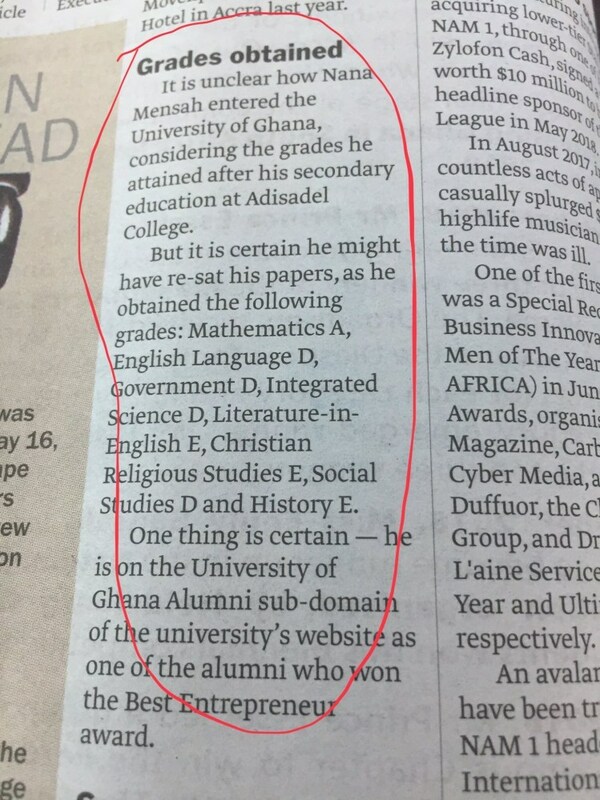 Interestingly, Nana Appiah Mensah is not a clever student looking at the WASSCE result published by Graphic. 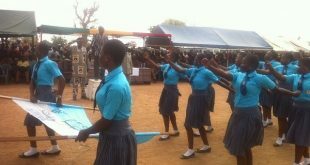 He only excelled in Mathematics but the rest of the subjects were a total bomb. 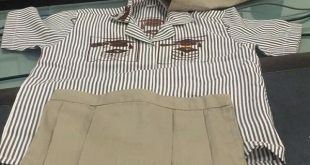 With this poor grades, NAM 1 was able to attend the University of Ghana, Legon. Did he write Nov/Dec to add up?